The volcanic eruption in 1883 that destroyed most of the island of Krakatoa was so violent that instruments recorded the blast wave traveling around and around the world several times. Scientists estimate that anybody within 10 miles would have been deafened immediately. 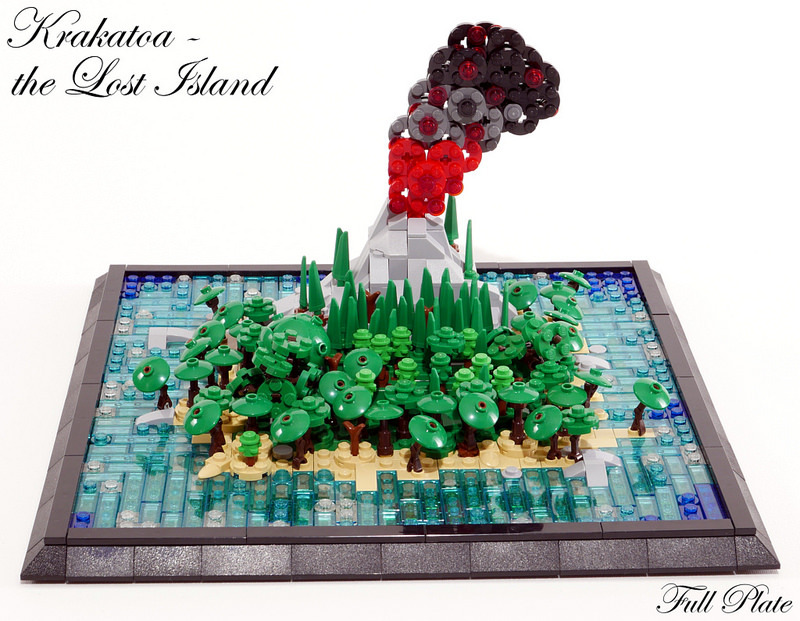 Emil Lidé captures this catastrophic natural disaster in LEGO with a beautiful microscale diorama. A bright blue sea and tropical jungle encircle the doomed peak, while flames erupt from the top of the mountain. Emil demonstrated his mastery of miniature LEGO landscaping with the LEGO tree instructions we featured a few months ago, and these even tinier trees look fantastic.